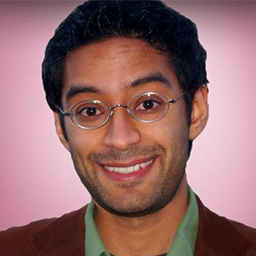 Farhad Manjoo is a leading and influential Silicon Valley voice and a technology columnist for The New York Times. Tapped to write the Times’ “State of the Art” column after the departure of Yahoo Tech founder David Pogue, Manjoo reviews the latest devices and innovations in addition to a wide variety of tech-related topics including the emergence of new media, Silicon Valley and start-up culture, and the ways in which politics, society, and business are being shaped by the rapid emergence of new technologies. Formerly a columnist with The Wall Street Journal and Slate and a tech news writer for Wired, Manjoo has been covering technology since the last dot-com boom, closely following the rise and occasional fall of the sector’s biggest names. Exclusively represented by Leading Authorities speakers bureau, Manjoo discusses impending disruptions, the future of how we live and work, and what these changes will mean for specific industries. In addition to his writing and reporting, Manjoo co-hosts the tech podcast “The Jay & Farhad Show” with CNBC executive editor Jay Yarow and frequently hosts panel discussions at tech conferences including SXSW and CES, where he has interviewed tech CEOs and influencers including Slack CEO Stewart Butterfield. Manjoo is also the author of True Enough: Learning to Live in a Post-Fact Society, which examines the emergence of “fact-free spin and propaganda” on the internet as well as a forthcoming book based on a prior cover story about tech giants Apple, Google, Facebook, and Amazon. Born in South Africa, Manjoo has a degree from Cornell University, where he was editor-in-chief of the student newspaper.